This is what passes as the quiet time of year. We’ve had another flurry of bookings for talks. Looking at the diary we are booked to do five in the next month, which is a lot for February. So must dig out the computer projector and get ourselves ready. 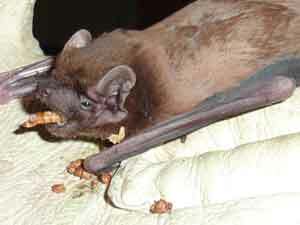 One upside is that we will get custody of the Noctule for a while, which is always a treat. This entry was posted in Uncategorized and tagged noctule, talk. Bookmark the permalink.